I have been doing some research into the background of 'Banjo' Paterson's poem, Mulga Bill's Bicycle. My father, the writer D'Arcy Niland, grew up in a household where books were a rarity. When he had a family of his own, he would often frequent the local second-hand bookshops and bring home boxes of books to add to our home library. The titles varied from the weird to classic, to fiction and non-fiction. Books of poetry stood next to titles like Monsters of the Deep. It was a treasure trove to our family growing up. There was always a book on hand to suit the mood. 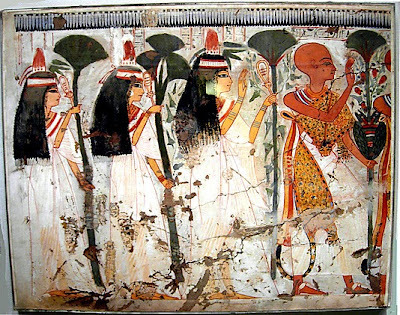 It also encouraged a love of history, science, natural history, humour, poetry and songs. So it was one of these books plucked from a shelf that inspired our illustrated version of Mulga Bill's Bicycle. That book was Rio Grande's Last Race and other Verses by A B Paterson. The edition I have is a very old copy, dated 1924. In the last few years historical research has become easier online, as many libraries and institutions are digitising their records, books and newspapers. When researching the background of the poem Mulga Bill's Bicycle, I found a small newspaper item from The Sydney Morning Herald, 17th July 1896. As the first illustrator of this poem was Norman Hardy, I did a little research on this artist as well. This item is from The Sydney Mail, 8th January, 1898. This Norman Hardy painting below now resides at the Metropolitan Museum of Art, New York. 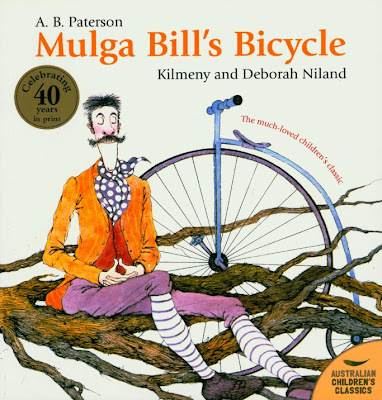 I haven't uncovered the illustrations he drew for Mulga Bill's Bicycle as yet. That research will be for another time. How wonderful! I'm going to pinch all this information to pass onto my young grand-nephew when he gets a bit older. 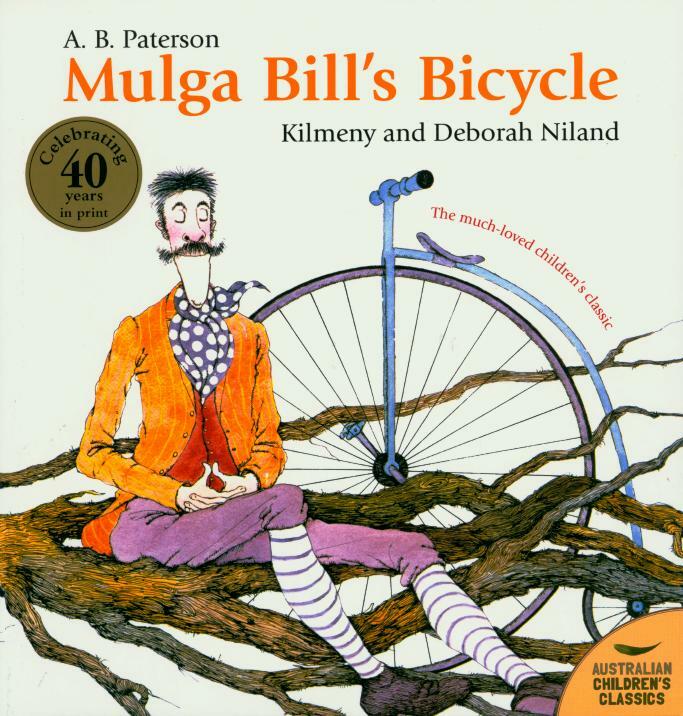 As I mentioned in a previous post, I've bought "Mulga Bill's Bicycle" illustrated by you and Kilmeny for him to be one of his Christmas presents this year. He doesn't turn 6 until February next, but I will store away this information for when he's a little older. Thank you for your kind comment, Lee. I agree with you that books should be introduced from babyhood. This is how a lifelong love of reading is encouraged. I would love a Mulga Bill t-shirt (with poem on back). I'm sure there is a vast cycling and literary community who would also love one. Any plans to produce any?